A workout routine is a staple in the diet and exercise world, but how important is it to the calisthenics athlete? Do you even need a strict routine at all? Some folks claim you must have a routine and that doing random exercises will only produce random, and inconsistent results. Other’s seem to have a bit more of a freestyle approach to their training. I’ve been on both sides of the debate numerous times and here’s what’s I’ve learned. The most important aspect of a workout routine is the structure it provides. A good routine doesn’t actually make you build muscle or burn fat per say. Instead, a routine gives you the structure that helps you stay consistent with what you do and how you do it. It’s this consistency that builds the foundation for the muscle building and fat burning progress you want to accomplish. 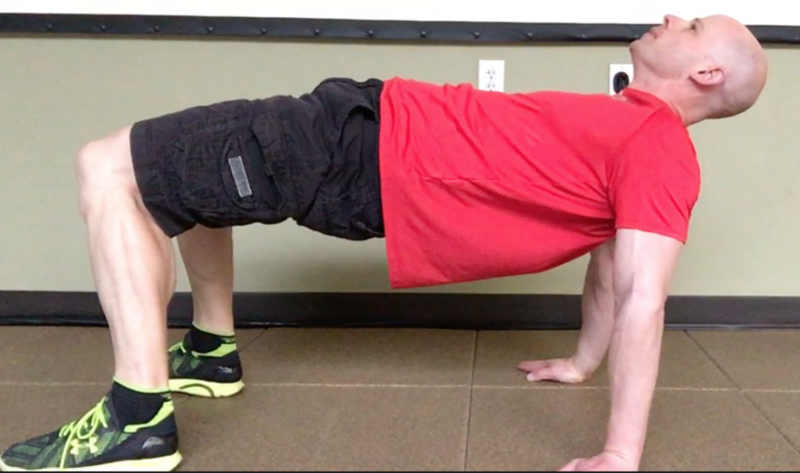 A workout routine that includes bridges may be helpful if you find your bridge training is inconsistent. Workout structure is especially important when you’re just starting out. Whether you’re new to exercise or new to a particular style of training, like progressive calisthenics, it can be difficult to establish consistent workout habits. Having a workout routine will make it easier to build momentum and consistency in your training. You’ll also want to keep a routine when you’re ironing out any weaknesses or imbalances in your training. If your leg training is lacking, you’ll probably do better with a routine that tells you to train legs on a regular basis. The same can be said for balancing out the body like in cases where you may have too much push movements and not enough pull. A routine that tells you to do 3 sets of pull-ups to 2 sets of push-ups can help. The takeaway is that a routine is beneficial when you need more consistency and structure in your training. However, you may not always need such structure. Some folks prefer a freestyle form of training where they do as they please from day to day. These individuals often have years of training behind them so momentum and experience are not as much of an issue. They may also be experiencing a time when they only need to maintain and make small adjustments to their fitness level. In cases like this, a more playful freestyle routine can be refreshing and fun especially if your training is starting to feel stale. Lastly, you can always mix freestyle and routine training together. The trick is in adjusting the amount of structure you have in your training. For example, you could plan a weekly routine where you outline what exercises you do each day of the week. From there, you might have a few choice exercises, but you can do them in whatever set and rep routine you feel like for the day. You could also have 2-3 structured work sets in each workout where you plan out what you do and how you do it, but after that, you have a freestyle session where you can play around and do as you wish. Like all things in fitness, a workout routine doesn’t have to be an all or nothing deal. You can have a little structure or a lot depending on what’s best for you in your given situation. There’s nothing saying you can’t have a little bit of freestyle training during the week, nor do you need to avoid keeping to a structured routine because it’s somehow bad. Just dial in the amount of structure that helps you stay on track yet flexible to make adjustments as you see fit.